We went to our first consultation with one thing on our mind and left with an entirely different set up. Iva is amazing at what she does!! this family owned business is rocking and rolling! She even helped my fiance complete the look of her bridesmaids. It really makes things easy when you’re working with someone who’s been in the business for a while. They also have every color you can think of along with any texture. Iva is the best! From the moment we stepped into her showroom we knew we had found the person we wanted to work with for our daughter’s wedding. Iva used her experience to help our daughter and us plan the perfect wedding. She guided us and answered all our questions, helping to make our daughter’s wedding perfect. She suggested linen choices, chair covers and accents that made the night special. We would not hesitate to recommend Affairs to Remember to anyone. One of the best choices we made while putting this wedding together. 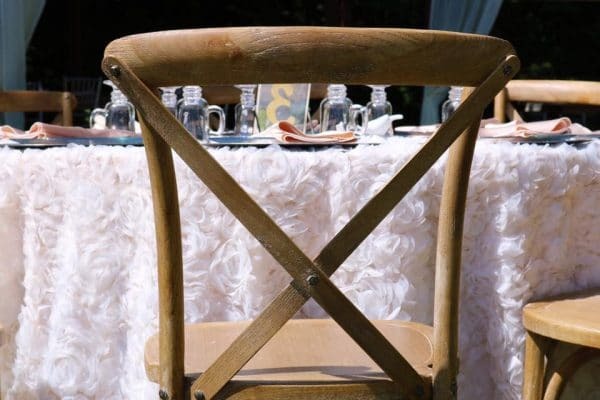 Our Chivari chairs were gorgeous! They made the look of our wedding come together so nicely. Affairs was super helpful since they had to unsheeth and tie on cushions themselves. This was definitely worth the money since they did the set up and tear down AND it looked beautiful. I would definitely say to do this instead of renting chair covers and bows because that looks tacky and you have to do it yourself. From start to finish, Iva and Affairs to Remember were the best! We knew our wedding would be sensational because of the hard work that was put in! Thanks for making our room magical and creating the look we had hoped for! We worked with Ida on our linens. I had a family member pick out linens and place the order, and unfortunately they signed the contract having ordered far too many seats. When it came time to pay, that person passed the buck to us. Ida worked with us to lower the number (within contract limits) and was very kind to us. It all ended up working out and the linens were beautiful. They came and set up and took them away for us, so we didn’t have to do anything past ordering and paying. Great service! We LOVED everything about Affairs to Remember for our daughter and new son-in-law’s wedding. 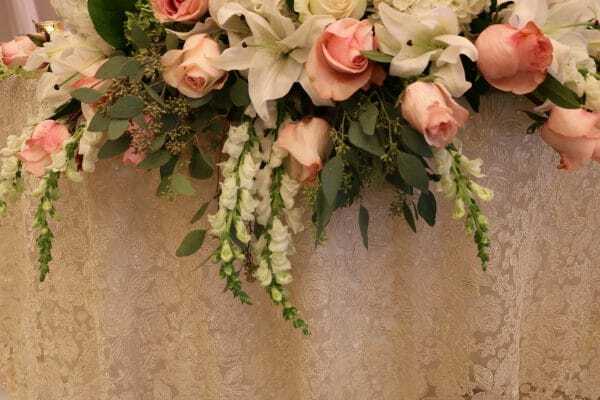 Iva is so easy to work with, and as a certified wedding planner, she is also able to offer a great deal of practical advice for making your event run smoothly. We did the Chiavari chair and linen package along with sheer overlay table cloths, extra bar height tables and rhinestone brooches on the napkins. Our guests absolutely raved about the linens saying they had never seen anything more unique or beautiful and many of them took pictures of the tables to help them remember the look we had achieved. 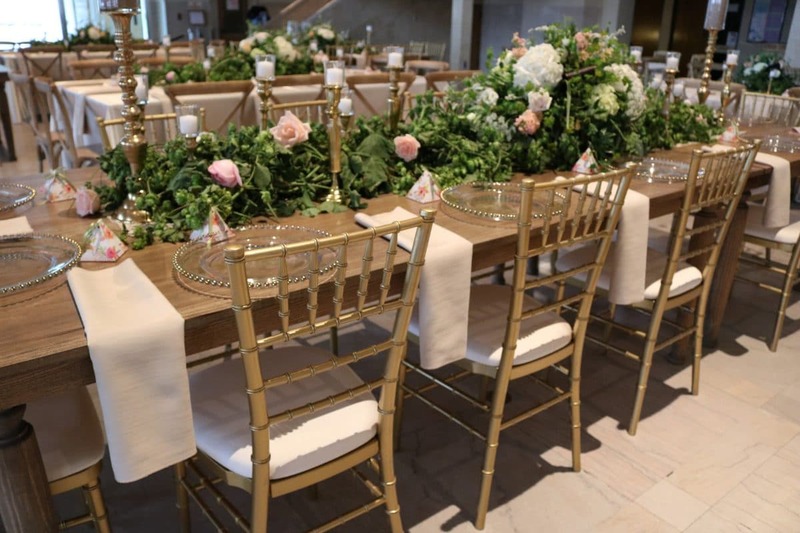 The Chiavari chairs are surprisingly sturdy ( we had a few very large quests) and the linens arrived super clean and wrinkle free. My husband and I were at the venue the day of set up and we were impressed with the fact that each chair arrived in its own cover (no scratches or dust). We shave already recommended Affairs to Remember to several people and I know they will love using this company as much as we did. Your event will definitely stand out if you use this company. Iva was so amazing to work with! She had the most beautiful and unique linens that I hadn’t seen anywhere else. Everyone at our wedding loved our ivory floral applique overlays, and I had so many guests ask where we got them from. It totally enhanced the look of our ballroom! The quality of all the linens and napkins was top notch. I’m so glad we found Iva. She was so honest and even helped me find ways to make everything more cost effective. She even gave me advice on how to improve the decor for our ballroom! 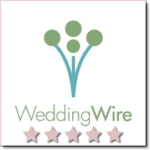 Her team is very professional and our wedding events coordinator at our venue was very impressed by them. I told everyone about Affairs to Remember because they are so great! All I can say is wow. What a great value, the linens Iva offers are exquisite and having had our wedding I couldn’t imagine ever having gone with anyone else. The napkins and chair covers accented the room beautifully! Thank you so much Iva! Job well done! Affairs to Remember had an amazing selection of linen that I could not find anywhere else! I found the table cloths that matched the colors and theme of my wedding perfectly! Iva was very helpful and accommodating. A pleasure to work with! Everything looked beautiful! Iva at Affairs to Remember is awesome!! 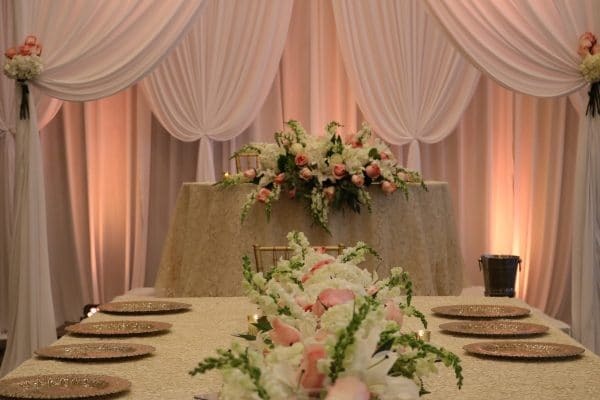 We got our linens from here and they were so beautiful and really made a difference at our reception. Plus the price was great!! Great service, great quality, beautiful linens! Highly recommend! Iva was extremely easy to work with, very responsive, her selection was terrific and the quality of selection and what was used was excellent. I would not hesitate to use her again for another event!! 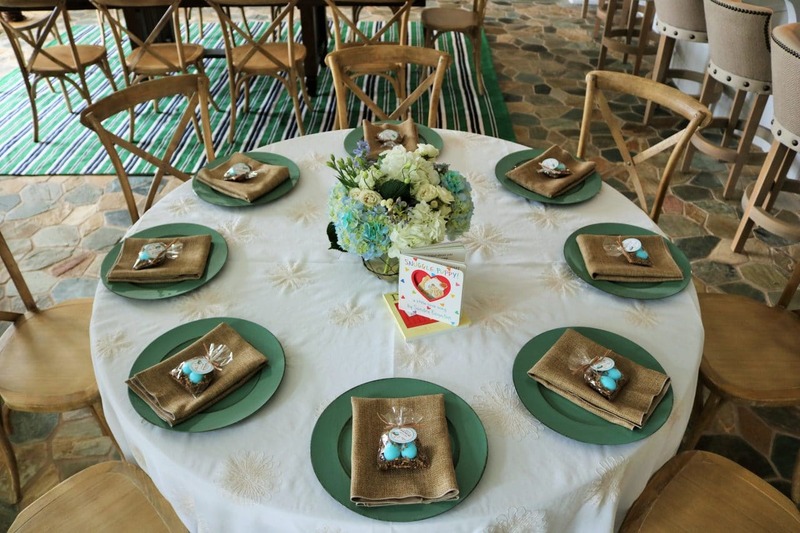 My linens, chairs and napkins were in excellent condition and looked beautiful! I will not use any other company for my future parties or events. Iva was very helpful and professional. She stepped in when another one of my vendors couldn’t provide chair cover service. I was able to describe what I wanted over the phone and she pulled through beautifully for me. She coordinated with my vendor so I didn’t have to worry about anything! We rented chair covers and table runners from Affairs to Remember. They have colors that match David’s Bridal color splotches EXACTLY! In fact, that is what I was told they model their color scheme after, which made it extremely convenient to coordinate colors with my bridesmaids’ dresses. They were not the least expensive vendor out there, but they did a great job and everything looked wonderful — no complaints! OUTSTANDING!!! From the prices to the service, to the linens themselves, you cannot beat ATR! Iva is very flexible and kept longer office hours so I could come after work. She had the linens set up on schedule on our wedding day and taken down without hassle that evening. I highly recommend Iva and Affairs to Remember!!! This was the only place in town I could find what I was looking for and the end product was perfect. Great customer service – the owner is absolutely committed to customer satisfaction. I would not hesitate to use Affairs to Remember again and have already made a personal recommendation to a guest at my event who was also impressed and interested. I have worked with Affairs to Remember for a number of years and I have NEVER seen any company give such care and dedication to their linens. 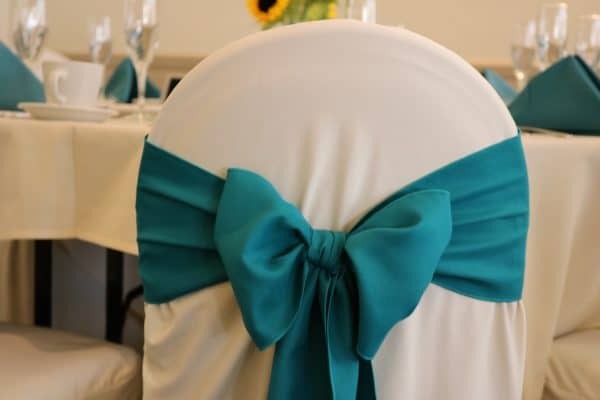 Their linens and chair covers are pressed, clean, wrinkle free and wax free. They come on time and do a great job of tying bows swagging linens and have a large assortment of colors and designs to choose from. They have BEAUTIFUL chaivari chairs also! They have great packages to choose from and yes, some companies are cheaper, but if you look at the quality of their product and compare it to Affairs to Remember, there is a world of difference. From the moment you walk in to your room, to the moment you look at your pictures, you will say WOW. I highly recommend Affairs to Remember. I can honestly say that I’ve never heard a bad word about Affairs to Remember! They have beautiful linen and are easy to work with. You’ll love them.